HOUSTON – (Realty News Report) – Galveston-born Tilman Fertitta, who has lived in Houston his entire adult life, has been in the news lately with his $2.2 billion purchase of the Houston Rockets. But the 60-year old has been a business dynamo for years. He is the sole owner of Fertitta Entertainment which owns not only the NBA’s Houston Rockets, but also the restaurant and hospitality giant Landry’s, as well as the Golden Nugget casino and hotels including the award winning San Luis Resort in Galveston and The Westin Houston downtown. Fertitta also has built several landmarks in the Houston area including the Downtown Aquarium, the Kemah Boardwalk and the Galveston Island Historic Pleasure Pier. In all, Fertitta owns more than 600 properties across 36 states and in over 15 countries. Chairman of the Board of Regents of the University of Houston System and star of the reality show “Billion Dollar Buyer” on CNBC, Fertitta has another Houston project that is also drawing interest: The Post Oak. It’s located on a prime site off of Loop 610 near San Felipe Street. To find out how one of the city’s first vertical mixed use developments is proceeding, Realty News Report talked with the peripatetic corporate chieftain Fertitta. Realty News Report: How’s your passion project, The Post Oak, progressing? When will it open? Tilman Fertitta: The Post Oak is slated to open in early 2018. It’s a stylish 10-acre development with a 38-story tower and an adjacent elegant and expansive 16,000 square-foot ballroom — the largest in the Galleria and Uptown Houston area. The 700,000-square-foot tower fulfills every desire of savvy business and leisure travelers with 250-luxury hotel rooms, more than 150,000 square feet of boutique office space, and 20 executive residences — all with dramatic interior finishes and unobstructed views of the surrounding neighborhoods and Downtown Houston. When you enter the tower, you see a captivating open plaza with a grand chandelier, extravagant artwork and a plush living area. The lobby is designed with exquisite finishes and views overlooking a stunning pool. The Post Oak is awash in greenery – mature oak trees and tranquil water fountains. You can dine al fresco at one of our many outdoor patios that include Texas’ first Mastro’s Steakhouse and a new Willie G’s Seafood. We have numerous unique amenities including the world’s first two-story Rolls-Royce, Bentley and Bugatti showroom! Realty News Report: As far as most people know, you have spent your entire career basically as a restaurant entrepreneur. The Post Oak is a high-rise tower with hotel, office, residential and retail located in one of Houston’s most upscale submarkets. Why tackle the challenge of this sophisticated real estate development now? Tilman Fertitta: Actually, I have been in real estate development for most of my career, purchasing and developing land across the country from coast to coast. I own and operate five Golden Nugget Casino and Hotel locations in Las Vegas and Laughlin, Atlantic City, Biloxi, and Lake Charles; the award winning San Luis Resort in Galveston and The Westin Houston Downtown; as well as my entertainment properties like the Downtown Aquarium Houston, the 42-acre Kemah Boardwalk, and the Galveston Island Historic Pleasure Pier – just to name a few. And soon I will add The Post Oak to my portfolio. I’ve always loved the hospitality business. This is my hometown. I’m very involved and I think there was a need for a hotel like this in the city of Houston—and I love being the one to do it! 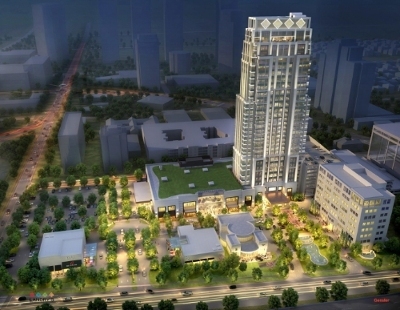 Realty News Report: The Post Oak is one of the first vertical mixed use projects in Houston. What challenges will you face in marketing The Post Oak? Realty News Report: You have said Post Oak will not turn a profit for a while. So why do it? 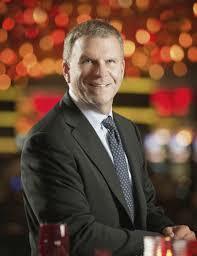 Tilman Fertitta: I’ve been talking for years about doing such a project. You have to build for the long term. I’m not a flipper. That’s what I do. I’m not a seller. I’m not looking at this short term. I’m not looking at what it’s going to make its first year; it’s what it’s going to be worth in 25 years. This is a hotel that is a generational property. It will stay in my family forever – long after I’m gone.